BB: Hi Jenny! For those who haven't heard of Jenny In Neverland could you tell us a little bit more about you and your blog? Hello! Thank you so much for having me on your blog! Well, I'm Jenny, in case you hadn't worked that one out! 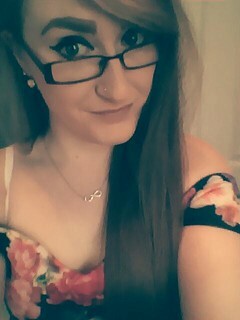 I'm a 22 year-old blogger, Disney fanatic, obsessive cleaner, book lover and excessive takeaway eater from London. I love reading, obviously. It's always been my most passionate hobby. 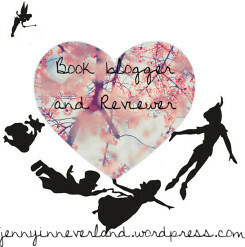 Jenny in Neverland was born around March 2013 and is where I post book reviews, film reviews, lifestyle posts (such as travel, food and days out) plus miscellaneous posts like discussions about blog/book related topics. I thrive from reading and my blog and I absolute adore every aspect of blogging! BB: Where does your love of books come from and how did you get into reviewing? My love of books come solidly from my mum; she is just as big of a bookworm as I am and ever since I can remember, she was reading me books, surrounding me with books and encouraging me to read. I remember when I was a kid, she would read me the Harry Potter and Narnia books in bed at night. She would also take me to the library regularly and sign me up for the summer library reading challenges, which I loved! I loved seeing my name on the wall of the library under the amount of books I'd read! I got into reviewing simply from finding another bloggers blog. I was Googling reviews for the book I was reading at the time and found this review on this blog; I started looking around and realised that this person was a book blogger and I couldn't believe it, book blogging was a THING? So I emailed the blogger and she very kindly helped me set up my own blog and it went from there! 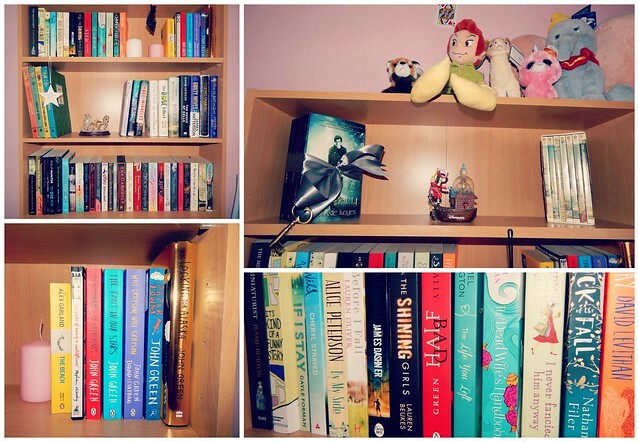 I started just by reviewing books I had read and books on my shelf and wasn't overly dedicated to it, but over the two years, I've met so many other book bloggers – a whole community of them – and my blog and my posts grew from there! BB: Which of your reviews are you most proud of? Which was the hardest to write? Oh heavens, I think all reviews are quite hard to write. It's difficult to do justice to a book that is literally too good to put into words and it's also quite hard to successfully explain why you disliked certain elements of a book without coming across as rude or insensitive! BB: You also post movie reviews on your blog. If you could choose one book that hasn’t yet been adapted to be turned into a movie which one would it be? I think The List by Joanna Bolouri would make an incredibly funny film! This book is such a success and the main character, Phoebe, would be amazing on screen. I also recently read The Zig Zag Girl by Elly Griffiths which would adapt fantastically to the big screen! Sorry – was only meant to chose one! BB: We're always looking for recommendations. What have been your top reads of 2015 so far? 2015 has been such an incredible book year so far; we're only in March and I've already read some amazing books! Previously mentioned above, The Zig Zag Girl by Elly Griffiths has been my favourite read so far. Magic and crime; the perfect combination! The Ice Twins by S.K Tremayne (which you've probably heard of!) was also a incredibly chilling read! The Dead Wife's Handbook by Hannah Beckerman, although released last year and I've only just got around to reading it, I would also highly recommend and it'd be up there in my top reads of 2015. Also, 1 more, By My Side by Alice Peterson. Beautiful novel! Nooo! This is too hard there are so many characters! Margo from Paper Towns would be incredibly intriguing. I loved her character and the mystery about her and I loved how despite the fact she wasn't even present for over half the book, the story still revolved around her. I'd like to say a huge thank you from all of us here at BB to Jenny for taking part in this interview. If you are a booktuber or book blogger and would like to be featured in a similar post we'd love to hear from you - just email us at bloggersbookshelf@gmail.com for information!